Water coming into your home or business should be a one-way flow only. When water flows in more than one direction, backflow can occur. Your property’s fresh supply water may be contaminated by non potable water, introducing unhealthy water to the fresh water system and back into your drinking water supply. Unless promptly addressed, backflow can cause significant damage to a home or business and trigger health issues if its occupants are exposed to contaminated water. Unless promptly addressed, backflow can cause significant damage to a home or business and trigger health issues if its occupants are exposed to contaminated water. Sunshine Plumbing and Gas offers a range of backflow prevention services, including repairs and the installation of backflow prevention mechanisms. 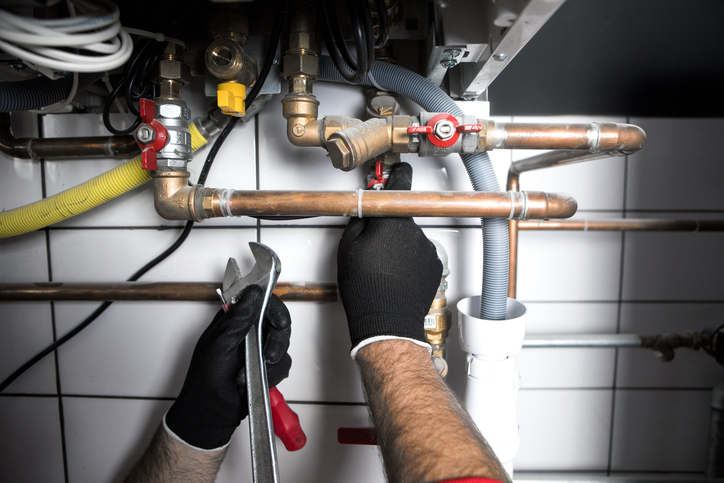 For high-quality plumbing repairs and services, contact our plumbing repair company today! Backflow is different from a backed up drain or pipe. Instead, it is wastewater — also known as nonpotable water — that flows backward in the plumbing system when it’s not in use. Backflow can have many causes and potentially become a plumbing emergency due to the contamination of potable water supplies. Call Sunshine Plumbing & Gas for timely emergency plumbing repairs 24 hours a day, 7 days a week if backflow is happening in your home or business. What Plumbing Issues Can Cause Backflow? Backflow can result from a number of common plumbing problems, including the following. If you experience any of these, contact us right away. Even if it may seem like a simple issue, waiting to call the plumber can cause a simple problem to quickly turn into a plumbing disaster. If your home or business uses a municipal water source, a drop in water pressure can be caused by a number of situations, such as a pumping station failure, a broken water main, or an open fire hydrant. As water pressure is removed from one area of the system, a vacuum effect forms in the lines, and water flowing in other nearby points moves backward. Whether the damage occurred in a residential or commercial sewer line or in the main municipal line, sewage and other wastewater can begin to back up into homes and businesses. Older sewer lines made from galvanized steel are frequently damaged by corrosion. If the sewer line is responsible, sewage will first leak from drains in the lowest level of the building. Residential and commercial plumbing systems are required to use a backflow preventer. This device, also known as a reduced pressure zone valve, opens when a change in water pressure is detected and stops contaminated water from flowing back into the potable water supply. How Can I Prevent Backflow? The best way to prevent backflow is to schedule professional backflow inspections at least once per year to detect any potential sources of contamination. We can install devices in the system anywhere fresh water and wastewater may be cross-contaminated. Municipal water flowing in one direction only allows the backflow device to remain open. But if the flow reverses, the device prevents the contaminated water from entering the water supply system. Pesticide applicators and portable pressure washers are two examples of common spray attachments. Without a backflow preventer, pesticides and other chemicals can be pulled into the potable water supply if a drop in water pressure occurs. Hose bibs and pressure vacuum breakers are relatively inexpensive and can be bought at most home improvement stores. Appliances that connect to a water supply, such as water heaters, should have an air gap in the drain instead of being piped directly to the sewer line. While direct piping can prevent flooding, it can cause backflow instead. A backflow inspection lets the skilled Ocala plumbers check the connection assembly between your plumbing and the municipal water supply. If the assembly valves have been damaged for any reason, backflow can happen unbeknownst to you. We recommend scheduling these inspections at least once a year to prevent issues associated with backflow. Point-of-use and/or whole house water filters are common in homes and businesses. However, many of these filters aren’t properly maintained and release filtered material into the potable water supply as they break down.